Win a $120 Gift Certificate to Giordano Dance Chicago! Congratulations to Christopher Johnson on winning our sixtieth High Five Giveaway and thank you to all who entered! 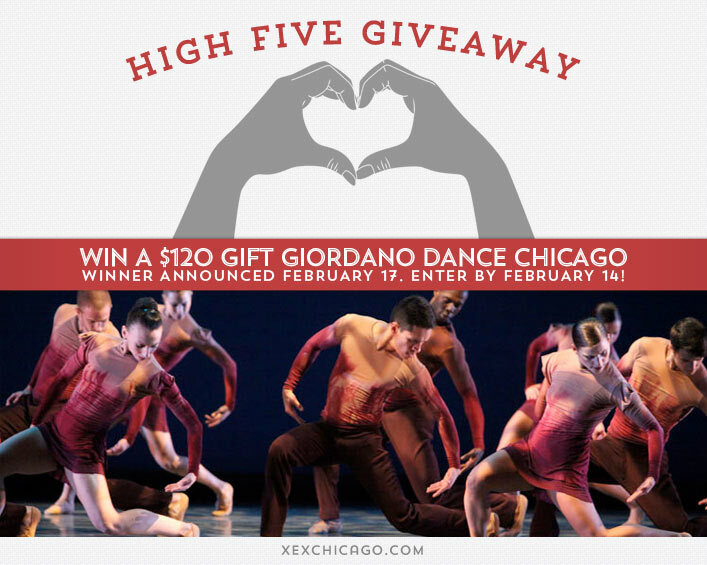 Our next High Five Giveaway is for a $120 gift certificate to Giordano Dance Chicago. After 50 years in Evanston, Giordano Dance Chicago is now located in the heart of downtown Chicago! Giordano Dance Chicago is located at 1509 South Michigan Avenue, 2nd Floor, Chicago, IL 60605. Visit their website at giordanodance.org or call them at 312-922-1332. What is one benefit of having a short haircut? Now, just add a comment to this post with the right answer to be eligible to win! The winner will be announced on Monday, February 17. Entries must be received by midnight on Friday, February 14. Good luck! great for hot summers in Chicago! It takes so much less time to blow dry in the morning! One of the main reasons I love my short haircut. Saves time so you are out the door fast! Short hair gives you more volume ! I get to visit my favorite XEX hair Stylist more often. That’s the way TJ & I think I look best! Short cuts are hat friendly, which is perfect for Chiberia!